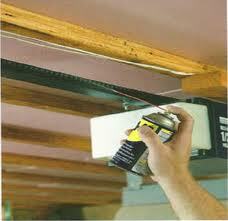 At the beginning of any garage door installation Baytown project everything seems chaotic. Which door to get? What material is best? What’s new in the opener i ndustry? Which spring will pair best with the new door? Let us make things easy for you. With years in this business, everyone at Garage Door Repair Baytown knows that such projects might be exciting but come with a lot of questions. We are ready to answer every single question you have, send a tech out to help you with your choices, provide the best doors on the market, and ensure the best garage door installation service in Baytown, Texas. When you are thinking of replacing the existing Craftsman garage doors, you need to consider your current needs. How often do you use the door? Would you like a maintenance free option? Do you want an insulated or wind load door? Whether you choose a new door for your home or business, there are many questions to be answered. Contact our staff. We can tell you all you want to know and arrange the service. Whether you choose wood or steel garage doors, our company can arrange their installation. Only well-trained and certified installers handle such serious projects. No matter which type of door you choose, the pros can install any of them – from rollup to sectional doors. If this is a new garage door installation and you would like some extra help from our staff, we will be delighted to assist you. We can send a pro to help you with measurements and provide opener solutions. When it comes to such important decisions, it’s good to have a knowledgeable and dedicated staff by your side to offer guidance and assistance. You can rest assured that you will get all the help you need from us along with exceptional products and the best garage door installation in Baytown.